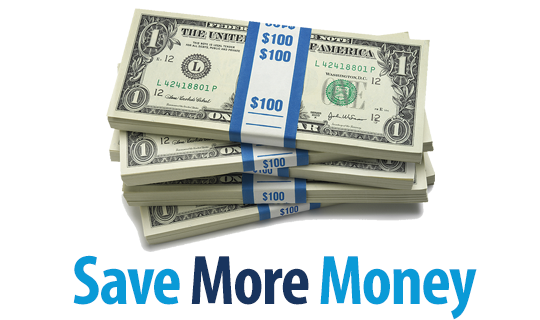 Hands down, IRB has the most competitive pricing in the industry. 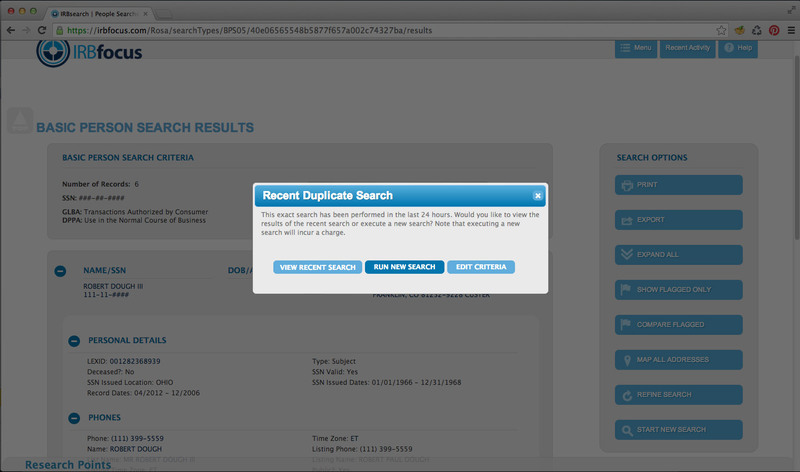 Each search is priced with your bottom line in mind, without hoops, contracts, or minimums. 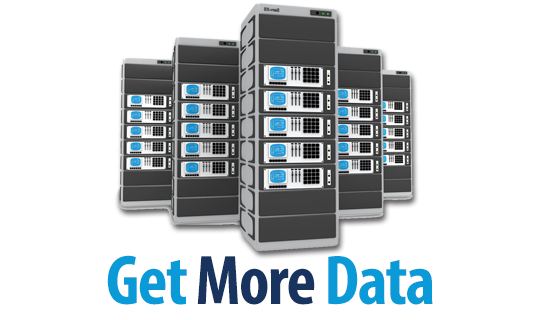 With every click, IRBsearch provides the most up-to-date data from the largest databases in the industry. 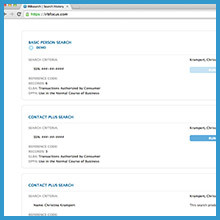 You can use IRB everywhere you work - on every device, in every location. 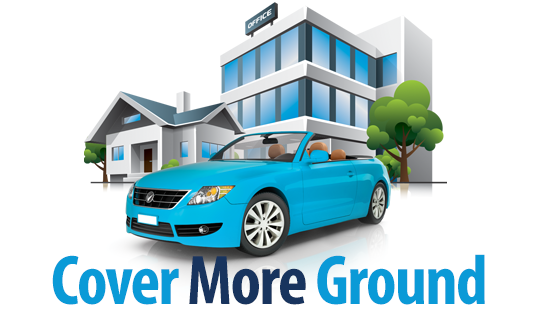 We work where you work and we never impose restrictions on an industry that is always on the move. 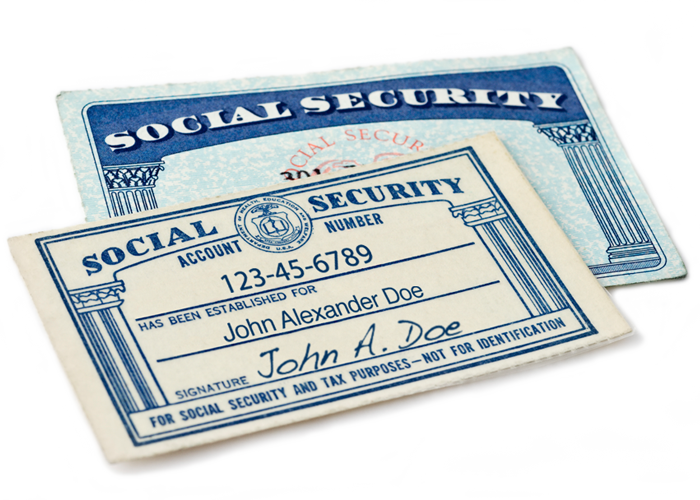 Do you need full Social Security numbers? IRBfocus has you covered! The new SSN Search makes millions of Socials available. Run a search and when you see the Full SSN icon ( ), simply click it to reveal the full SSN. You'll have to flip a coin to choose the best part of this new search. Heads? The new SSN Search is only a quarter! Get a full SSN for only $0.25. Tails? IRB understands how investigative professionals work. Access to this search is not limited by your office space. 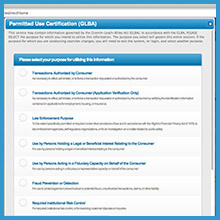 Get the information you need without restrictions! IRBfocus will change the way you do business. 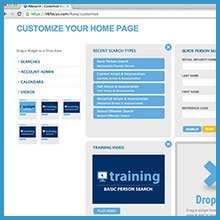 IRBfocus strives to make the most of your search experience. The new PDF version of the Comprehensive Report displays a front-page summary of all included information. 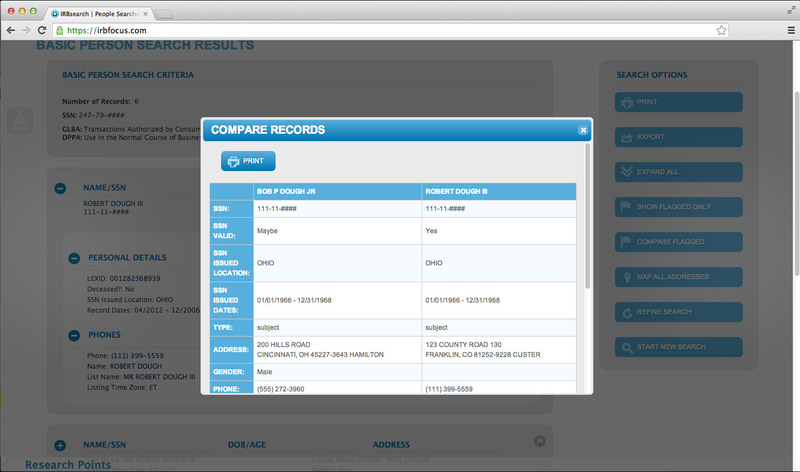 You'll see possible convictions, vehicle registrations and even corporation filings at first glance! 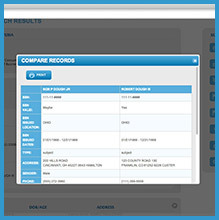 Our Comprehensive Report gathers data from millions of consumer records in seconds. Once it's all curated into your report, it will be divided into sections in the table of contents. Instead of sifting through numerous pages, just click the section you'd like to see, and jump right to it! Trying to find intricate details in a pool of information can be daunting. With our new PDF version of the Comprehensive Report, you no longer have to worry about missing key details. The new PDF version is easier to read, absorb, and get in front of your clients so you can close your case! The new IRBfocus is easier to use and navigate. It works on every device, everywhere. Searches and reports are color-coded for ease and understanding. Take a look and see for yourself! 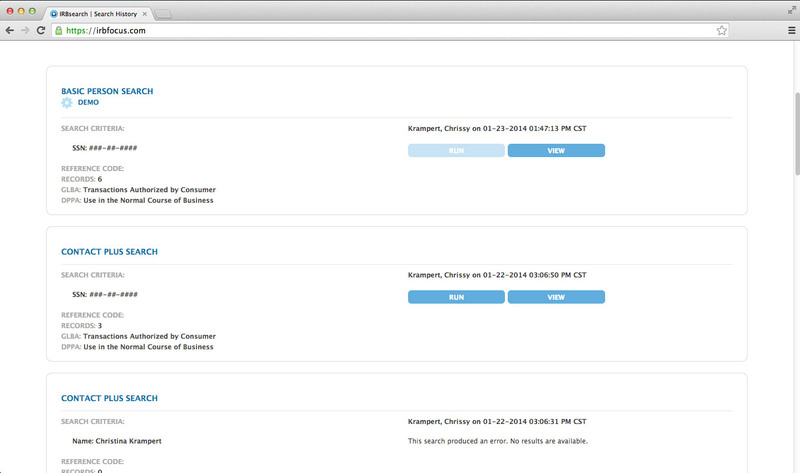 Receive usage reports, view invoices, and pay your bill directly from IRBfocus. 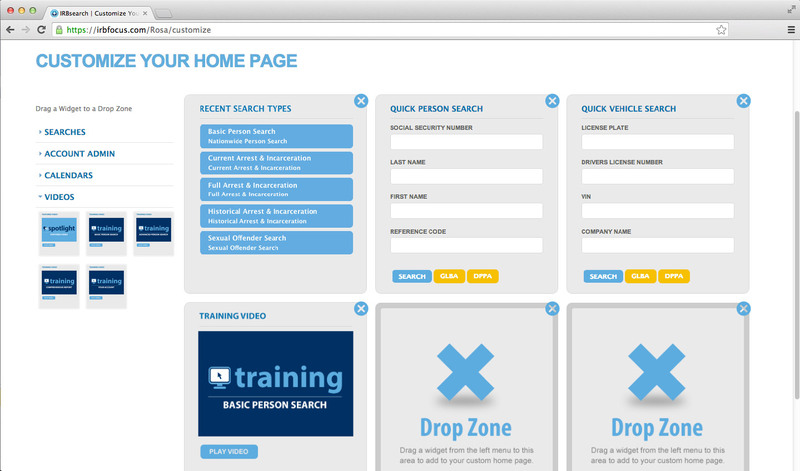 The new admin side of IRBfocus gives you unlimited customization for your account and business. IRBfocus puts you in the driver's seat with its advanced drag and drop feature. Take any criteria point from a result set and simply drag and drop it with other criteria points to craft your next search. 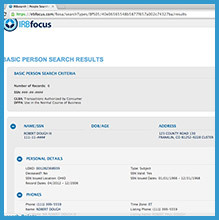 IRBfocus gives you the ability to access all reports directly, without a preliminary search. 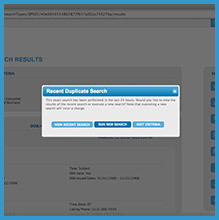 Unleash the power of IRBfocus and its multiple data feeds to complete your searches effectively. IRBfocus is continuously updating its offerings. We understand the industry and are listening for your needs — we'll be rolling out new searches throughout the year! Advanced security gives you peace of mind with your IRBfocus account. A one-time use PIN is sent to you via text or email each and every time you login. IRBfocus protects you and your account data. The new Connections feature in the Focus platform gives you the opportunity to join other professionals in your industry to share jobs and experiences, meet colleagues and friends, and broaden your professional network. We know there are lots of options to link up professionally, but no other service has thousands of investigative professionals ready to connect. 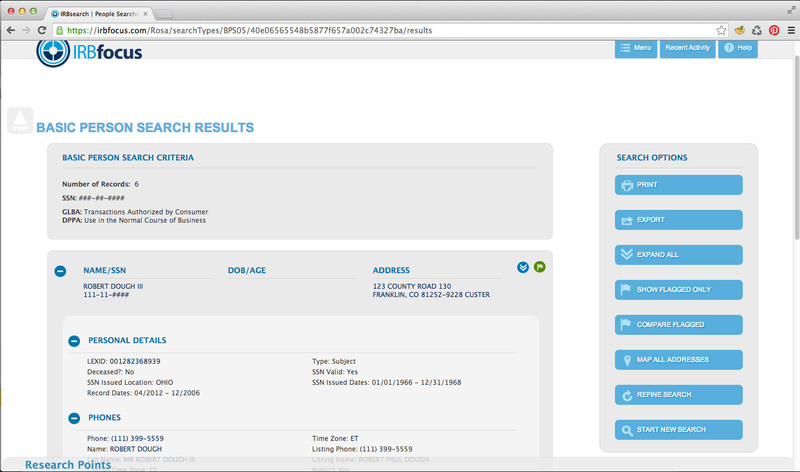 IRBfocus contains all the tools you need to close cases. In our business, having the right data is only part of the recipe for success. Knowing who to rely on and who can be trusted is another important component. IRBsearch has been a trusted partner for tens of thousands of investigators for more than a decade. With IRBfocus and Connections, we are adding to your toolbox to help you close your case. 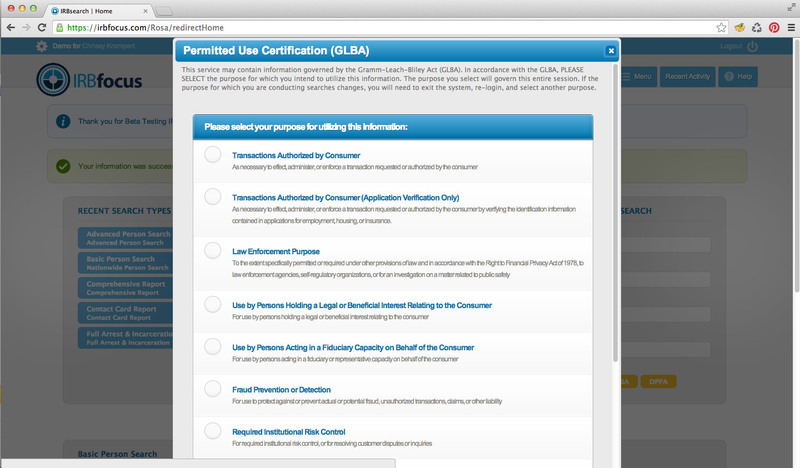 If you don't have an IRBfocus account, click here to request one. Start connecting now!